My designs featured on these gorgeous made-to-measure wall murals. 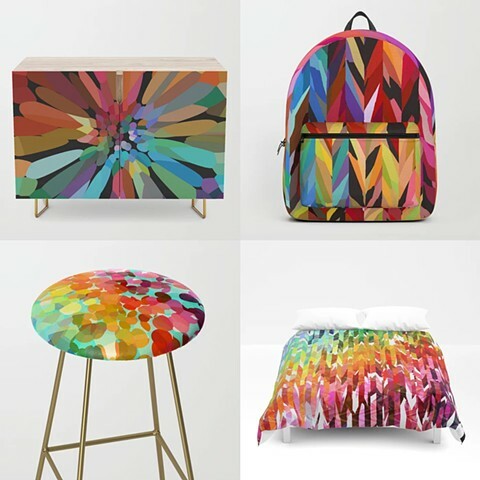 These colorful abstract designs can brighten up any room in your home or business! Application is easy, its similar to wallpapering. Also they ship in panels, so shipping costs reasonable, wherever you are! Click here to be directed to Wallsauce's site - www.wallsauce.com/wall-murals/designer-? Art Prints and Canvases ready to hang. I have 2 Scratch Art books, which are loads of fun for kids and adults alike. 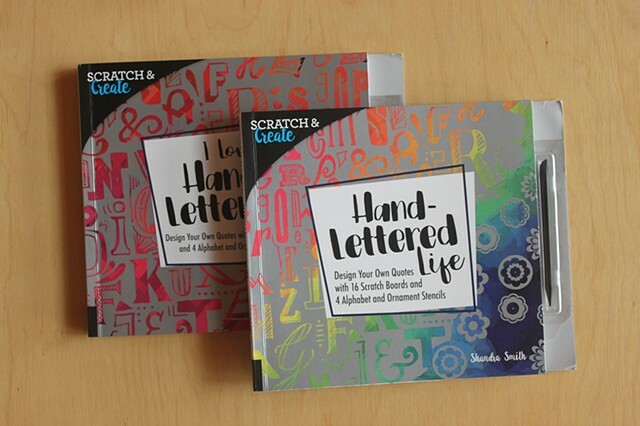 My designs are featured throughout the books, which come with stencils and a stylus. They're available at Chapters/Indigo across Canada!! And also Mosaic Books in my hometown Kelowna, Canada. My design "Pink Flower" is featured on Men's + Women's shoes through US-based BucketFeet. Handmade to order - so your size is always available. Bucketfeet has re-launched "Bloom" on this colorful slip on shoe. Mens + Womens sizes available. Handmade to order. Scarlet & Fern is a new bespoke lampshade brand based in England, and I'm thrilled to have my design "Funky" featured on one of their designer lampshades.